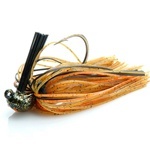 Football head jig, 1/2, 3/4, 1oz sizes. 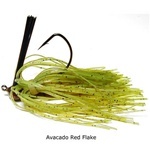 Flipping jig, 3/8, 1/2oz sizes. 2" long, 3/8 oz., 8'-10' diver, hook size #6. 2.75" Long, 3/4oz. Floating, 13-24ft Diver. 2 3/4" Long, 1/2oz.,crank. #4 Treble hooks. 2" Long, 3/8oz. Floating, 7-18ft Diver. Sinking Stainless Steel Hammered Spoon, 1/2, 3/4, 1oz, sizes. 3" long, Floating, 1/2oz, 3ft. Diver. 2.5" long, 1/4oz., Sinking. 1.75" long, 1/8oz., Sinking. 2-1/8" long, 1/4 oz., 2'-4' diver, hook size #6. 2-1/8" long, 3/8 oz., 6'-8' diver, hook size #6. 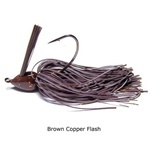 2-5/8" long, 1/2 oz., 8'-10' diver, hook size #4. 2.5" long, 1/4 oz., topwater, hook size #6. 2 3/8" long, 3/8 oz., 8'-10' diver, hook size #6. 4.5" Long, 3/8oz., Floating Topwater. 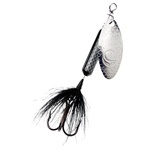 #6 Treble hooks 2.75" Long, 5/8 oz., Floating. 12 ft. Diver. 3" Long, 5/8 oz., Floating. 16 ft. Diver. 3" Long, 7/8 oz., Floating. 20 ft. Diver. 3" Long, 3/4 oz., Suspending. 18 ft. Diver. 2" Long, 1/4 oz., Floating. 6-8 ft. Diver. 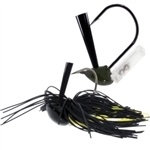 3" Long, 5/8 oz., Suspending (SDD14), Floating (GDD14). 12-14 ft. Diver. 1.5" Long, 1/8 oz., Floating. 4-6 ft. Diver. 3.5" long, 3/4oz., Sinking Spoon. 2.75" Long, 7/16 oz., Suspending. 15 ft. Diver. 2.75" Long, 7/16 oz., Suspending. 15 ft. Diver. 2" Long, 5/16 oz., Sinking. 2" Long, 1/16 oz., Balsa wood body, Floating. 5 ft. Diver. 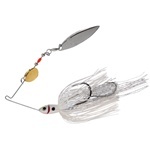 2" Long, 3/8 oz., Balsa body, Floating. 6 ft. Diver. 2.75" Long, 7/16 oz., Rattlin' Suspending. 15 ft. Diver. 4" Long, 3/8 oz., Suspending. 16 ft. Diver. 4.75" Long, 1/2 oz., Suspending. 19 ft. Diver. Sinking, 3/8, 5/8oz weights.